An important part of residential roofing is ensuring there is adequate attic ventilation, which is sometimes overlooked since it is out of sight and potentially out of mind. Proper air movement affects not only the building interior but the roof as well. Having a College Station roof repair professional out to inspect existing vents, and the attic’s condition is a good way to make sure there are no issues to negatively affect a roof. Indoor Temperature Control – Without proper attic airflow, warm air is trapped inside, which makes cooling a home in the heat of summer that much harder to do. Proper insulation helps keep a home at a desired comfortable temperature level for its inhabitants that would be otherwise impossible to reach. Ice Damming – In cold weather, poor attic air circulation traps warm air inside and what is called ice damming outside. Ice damming is when snow, ice, or freezing rain melts a little bit because of the heat in the attic and then freezes on the roof. This not only increases ventilation concerns but also ruins shingles and increases the need for College Station roof repair. Condensation and Moisture – Inside, condensation creates a moisture problem in attic space that is not properly ventilated. Moisture can collect on the inside of roof decks due to fluctuating temperature inside and outside. If condensation is an ongoing issue, it can cause interior framework rotting and decomposition which is a major concern. 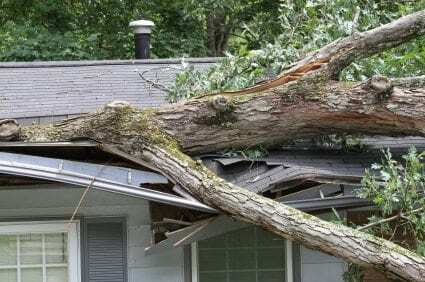 Left unfixed, this can lead to roof collapse when beams can no longer bear the weight of the roof or any snow or ice that has fallen on it. Any moisture in the attic can cause mold problems that will affect the structural integrity of the attic framework and cause illness to any building residents. Avoiding problems like these depends on having enough properly working roof vents. Ridge vents and soffit vents applied correctly and in the right places will keep temperatures lower in enclosed attic spaces as well as prevent condensed moisture. In situations where ridge and soffit vents are unable to vent well enough, it is possible to have fan vents installed. These are usually controlled by thermostats that switch the fans on when temperature and humidity become too high. Homeowners need to be knowledgeable enough to ask to have attic ventilation checked and then be willing to correct any problems if there is evidence of poor air circulation. This is especially critical because if there is some kind of problem with the roof and poor attic circulation is to blame, such a problem is most likely not covered by insurance or the installing company but rather the building owner for not properly monitoring attic air circulation. So hopefully this article will have provided valuable information to help remember the information of monitoring and taking care of attic air temperature to retain the integrity of a roof! Contact College Station Roofing for Quality College Station Roof Repair! Does your house need a little patching or perhaps more major College Station roof repair? Give the experts at College Station Roofing a call at 979-217-2395 to get your roof back in top condition!